"As 2016 lengthens its stride, the ambivalent euphoria of the Paris agreements on climate change gives way to a sense of ‘where to from here?’ While the technicalities of the Kyoto Protocol were never easy fodder for inspiring collective action, the new terrain is arguably even more forbidding on that score." "As the prevailing state/market order struggles to restore the credibility of its utopian vision (“better living through technology and economic growth”) while averting its eyes from the fiscal austerity, inequality and climate change that it produces, there is some good news: We are living through an unprecedented explosion of social experimentation that has yet to be truly recognised." "Every generation experiences radical changes in response to the innovations, disruptions, crises and shifting perspectives that transform our ways of operating and organising in business, society and beyond. Our generation is no different and the only way forward is to adapt by continuously observing and reinventing how we do things." "The ‘soup’ method is a very simple one but it can encompass so much. In its most basic form it is a micro-granting dinner that celebrates Bristol-based community development projects." "The distance children growing up in Britain today roam, independently from their home, is on average 90% less than in the 1970s. This means less freedom, less opportunity to learn to assess risks and make decisions, and less responsibility; which in turn means less opportunity to become responsible." "In the wake of the Edward Snowden revelations, Bolivian President Evo Morales said the United States was conducting electronic surveillance on “our most senior authorities” and stopped using his own email account. Now senator Nelida Sifuentes is leading the campaign to develop infrastructure and software that will make Bolivia digitally independent, and restore power to ordinary citizens." "This map is the blueprint for a new full colour source book called The Grassroots Directory, which aims to showcase the most innovative, practical and exciting community-led projects in the UK"
"Early one cold winter morning back in 2008, Alex Lawrie of Somerset Co-op Services was shivering on the Yeovil railway platform when he had an idea: “surely a co-op could do this better?” From this seed of an idea, GO-OP Co-operative was born." "I think that through the austerity aesthetic, people were actually primed for austerity before it even happened. There’s always been this thing in British life since the 1940s where what is, in reality, a very rich and comfortable country, treats itself as if the war is still on, as if we’ve got to make hard choices, as if rationing is still in place." "Could we dare to imagine alternative co-operative models emerging to make markets work better for citizens, for workers and for the planet? Can we develop models which share resources and profits and which reduce unnecessary waste? Here are four ideas to help us shift from competition that isn’t working to co-operation that does." "If Transition Towns provide a platform for community-led response to climate change and resource depletion, perhaps the killer apps that enabled it to take root all over the world were Open Space Technology and visioning. Both are cheap, easy and effective methods for engaging and mobilising people, ‘unleashing their collective genius’ to begin collaborating on local solutions together." "From 30th April to 4th May this year, activists from Reclaim the Power (RTP) will set up camp near the UK’s largest Open Cast coal mine, Ffos-y-Fran near Merthyr Tydfil in South Wales, and take mass direct action to shut it down." 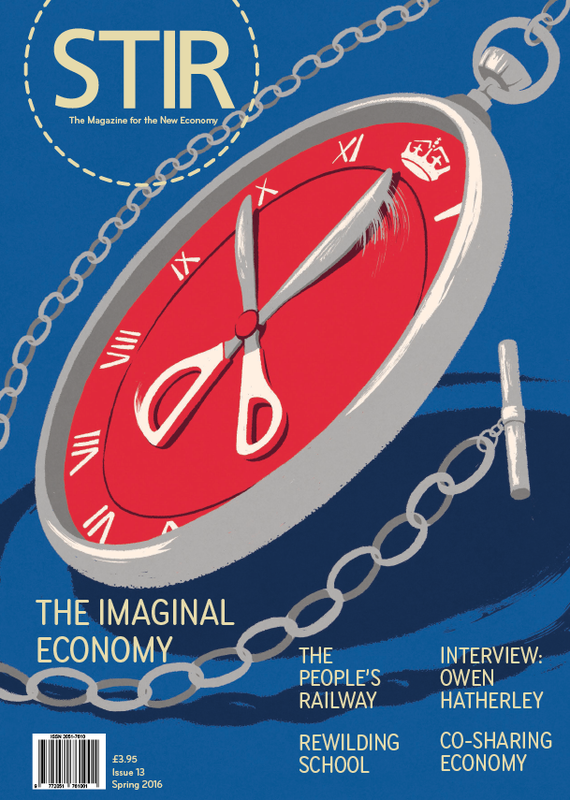 "Nearly a year before the 2015 General Election, the Chancellor George Osborne announced that the country needed a ‘Northern Powerhouse’: an attempt to bring together the North’s 15 million strong population into a collective force that could begin to rival London and the South East as the economic heartbeat of the UK." "We are receiving more than 100 new projects a day from communities all over the UK who want to bring real change to their towns and cities. We have now helped over 40,000 projects and raised a total of £14 million, we are seeing a huge increase in demand as communities want to take control of their own destiny and bring about the change that is needed." "Every network has its origin story. For young people in the United Kingdom, although our disposable income is almost 4.5% greater in real terms than in 1979, when our parents were our age, our household disposable income is shrinking at a rate of 2% below the national average growth rate across the same timeframe, compared with a growth rate of 62% above the national average for our parents generation. The number of university graduates has more than doubled, yet the job market has not shifted to reflect this."